New film Mad To Be Normal, starring David Tennant, had its premiere as the closing gala of the Glasgow Film Festival on Sunday. It tells the story of famous Scottish psychiatrist RD Laing and his attempt to set up a "safe haven" at Kingsley Hall in London where people with schizophrenia and therapists lived together. Laing's son Adrian reacted to the film for BBC Scotland. "Mad to be Normal purports to be a dramatisation of the Kingsley Hall era (1965 - 1970) of my father - Scottish psychiatrist RD Laing. "There is no Mary Barnes, Joe Berke or any other significant player of the time including David Cooper, Aaron Esterson, Sidney Briskin or Clancy Sigal. "The de-fragmentation and reconstruction of key players creates a deep fault line which cuts through the very heart of the film because the leading cast, with the sole exception of David Tennant, are playing completely fictionalised characters. 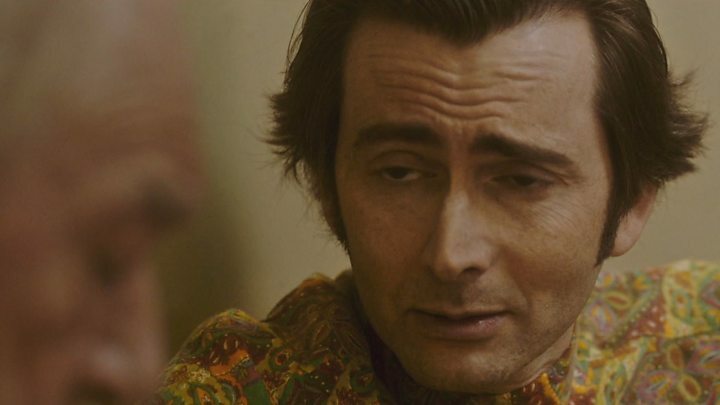 "I did not recognise David Tennant in Mad to be Normal as my father. "He does a fine turn, as fine actors do, but he is not the man I knew. "The RD Laing in the film is more arrogant than brilliant, torn between his obsession with his cause and his love for his children. "Tennant plays a tortured, self-obsessed egoist opposite a fictional 'Angie Wood', played with skilful gusto by Elizabeth Moss. "'You're drunk' she yells at him during a high society party that pops up Tardis-like every now and again. "RD slurs back a response which exemplifies the cliché-strewn script. It is just too didactic to be taken seriously. "Director Robert Mullan takes liberties with facts at every opportunity. "Most objectionable of all - as a son - is the playing in of the death of my sister, Susie, who died six years after Kingsley Hall was closed. 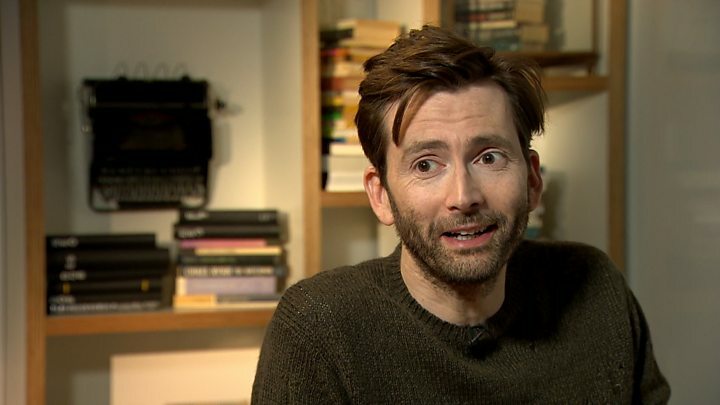 "It is clearly intended to provide Tennant with 'the heartbroken daddy and dying daughter death scene'. "It is a cheap trick, played from the bottom of the deck, badly. "Gabriel Byrne is dealt the best hand in the film, playing a patient 'Jim' whose voyage of self-discovery brings out his inner psychopath, posing such a growing danger to RD's lover Angie and their subsequent child Gabriel (presumably so called as a production in-joke) that he is forcibly sedated and eventually sectioned to a mental hospital. "Michael Gambon is not far behind, playing with understated authority a cuddly-but-mad grandad figure, 'Sydney Kotok', who is persuaded by RD to drop some acid to help release and confront his suppressed family horror memories. "Mad to be Normal does have its lighter moments. "In order to perpetuate the RD Laing mantra and myth of 'my mummy never loved me' variety his mother must be demonised, above all else. "RD's mother's appearance is so shockingly bad it's hilarious. "Imagine the mother in the 1960 film Psycho, as played in drag by the Norman Bates character. "You are now up to speed with Mullan's interpretation of my paternal grandmother. "Annoyingly, the film jumps from one scene to another in a bewildering and disjointed manner. "The interior of Kingsley Hall bears no resemblance to its shambolic and faeces-strewn past. "Most disappointingly of all the film comes to a shuddering, mid-scene end with RD seeking to rescue a Kingsley Hall patient from a mental institution. "The end scene is reminiscent of the final moments of 'One Flew over the Cuckoo's Nest' but rather than bring the film to a climatic end it sums up the absence of a coherent narrative and unresolved ambiguity of RD Laing's philosophy and practice. "Being the son and biographer of RD, and in the development stage of a substantial RD Laing feature, I cannot and do not lay claim to objectivity, although I can aspire to fairness. "After the screening I took a straw poll of the RD Laing family and friends for marks out of 10, the average score of 5.5 resonating with the muted and brief applause the audience gave at the end of the film. A disappointing end to a disappointing film."